It's one of the greatest inspirations of Jules Verne, Queen Victoria and Pink Floyd. Being formed over 60 million years ago, the Fingal's Cave is an unique, marvelous rock formation. 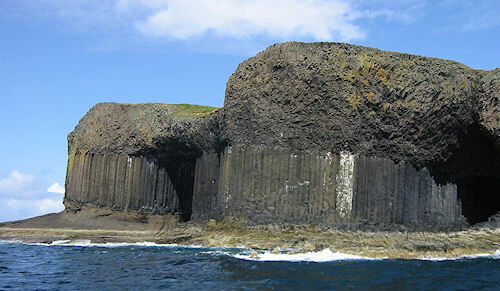 Being surrounded by the Atlantic Ocean, Fingal’s Cave appeared during the Paleocene epoch, which lasted about 10 million years. Apart from the shape, which seems to have been sculpted, the view of the 72 feet tall Fingal's cave is yet another impressive aspect for tourists, who come here by boat or by climbing the small island.